As of Fall 2015: We now have a single standard uniform for both In-Town (Pre-K to Grade 2) and Travel (Grades 3+). All players may purchase the Park Derby jersey and Hertha shorts at soccer.com. 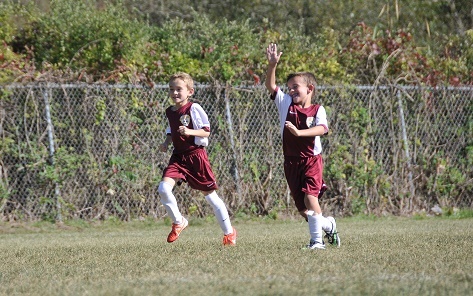 U7 and U8 players do not need to repurchase, they may still wear the solid maroon Tiempo uniform. The ordering process remains the same at the soccer.com website. In addition to the uniforms, we have designed and offer a full range of logo apparel and spirit wear including back packs, T-shirts, hats, jackets and warm ups. While only the jersey, shorts and socks are required, we would encourage you to pick up some additional items as a percentage of every sale will be credited back to the program. In addition, if you are currently or become a Soccer.com Goal Club member (their loyalty program), you will also receive credit for the same order. 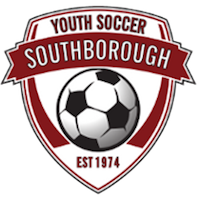 If you are new to SYSA you will receive an Email from Soccer.com (it actually comes from [email protected] with the subject "Time to order your SOUTHBOROUGH YOUTH SOCCER ASSOCIATION uniform) and a link with the ordering instructions. All you need to do is select a size, order any additional gear or equipment, and check out. Your order will arrive directly in a few weeks. The Email will go to the primary account used in the registration process, and also please check spam filters. PLEASE DO NOT WAIT UNTIL THE LAST MINUTE TO PLACE YOUR ORDER. SYSA does not keep any inventory on hand so please make sure you get your orders in early. The jersey sizing runs very similar to the current jersey. The shorts seem to run a size big. Shorts can be exchanged, the customized jerseys cannot. Size charts are also available on the order page. Consider asking another parent to see their child’s uniform to help with any sizing questions. In order to eliminate the continued problem with duplicate jersey numbers, there will only be one of each number per gender per age group. Numbers will be assigned randomly. The Email you receive from Soccer.com will include your assigned uniform number. We apologize in advance that selection of favorite numbers will not be possible, but this was the only fair way to do this. If you have any questions about the process or do not receive an Email from Soccer.com, please contact Matt Rhind, Equipment Director ([email protected]).